Well what can I say – today surpassed any expectation Vertigo and I had in going to FlickerLab to hear David talk about this career. I know a lot of us think David is rather good looking, but let me say, like I have said about Rob. Photos do not do this man justice. He has a charisma much like Rob and you can’t help but be drawn towards him. And let me just be shallow and objective here for a minute – David is MUCH better looking in person. (Vertigo – *nods wildly* – a hottie and on top of everything else, this man loves his rock and roll!) There was an awkwardness about David when he first walked out that reminded me a lot of the first time we saw Rob in person on stage at The State Theatre. But once David got going – David got going. And when Vertigo and I spoke to him one on one after the session, he was this charming, humble and fascinating man. (Vertigo – very candid, No ego, Aussie and totally engaging) We were both smitten. Am I going to start a sister site “David Michôd Australia”? I don’t know but I might be seriously thinking about it … yep. The Rover and Rob mentions – check and check. David walked into the theatre at about 11.45 am. Mind you Vertigo had just come from outside and said “David’s here looking mighty fine”. I’m going to relay some of what happened, but it might be out of context. But you will get the drift. 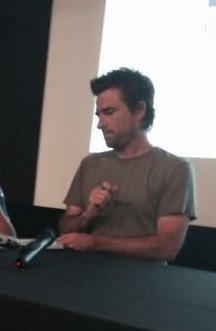 David also noticed that his films seemed to be from the perspective of a child. He thought that The Rover was the first time this wasn’t so, but then realised that Rob’s character Rey can be considered childlike in The Rover so maybe he hasn’t really distanced himself from that. David talked about how he started out. How much his short films during film school embarrassed him and how he learns something (good and bad) from every film he makes. After the success of Animal Kingdom he was given the opportunity to direct other people’s scripts, but he realised what he loved the most was that he liked to build films himself from the ground up. He worked on the script of Animal Kingdom for about 10 years (whilst he did other jobs of course) and he wrote the first draft of The Rover with Joel Edgerton in about 10 days before he even filmed Animal Kingdom. David said he doesn’t know how to make a film you don’t believe in. Obviously this isn’t the full dialogue of what David said, but he realises that often when a new director is hot property there is a small window when Hollywood is talking about wanting that director to do other work and your name is on everyone’s lips, but if you haven’t picked a project you want to do within that small window, then Hollywood has moved onto the next “big” thing and often your second film ends up being not what you want to do. So this is why he decided to do The Rover rather than go to Hollywood. And how HAPPY are we that he did. I can’t tell you enough how much praise David heaps on Rob. David said he “loves talented people”. (Vertigo – David’s face genuinely lit up when he talked about Rob – such a heart starter) He also said numerous times how smart Rob is. Really smart. I think the most endearing story David told about Rob today was when they were filming in Quorn. They would all go to the pub for dinner. One evening he was walking down the street towards the pub and he saw Rob walking down the street on his own. When David approached him Rob said “I can’t tell you how magical this experience is – I’m walking down the street by myself”. That comment made me happy and sad at the same time – that it took Rob to work in the arse of nowhere in order to feel I guess normal. He needs to move to Oz. Simple. So then the floor was opened for questions and most people there were obviously young filmmakers, but I had a burning question to ask. “David I get enjoyment in searching you out for your cameos/walk on roles in your films. Did you write yourself a walk on role in The Rover”. Oh and before I forget – David thinks that The Rover is actually darker than Animal Kingdom and by darkness he doesn’t mean bleak. He said he thinks bleakness means relentless depressing, that there is no beauty in it like there can be in a dark film. Ok so when the session was over I may have just sidled up to David and asked him to sign my copy of Animal Kingdom and quickly told him that we have been thrilled for so long that Rob’s doing his film and *cough* we might run Rob’s Aussie fansite *cough*. Let me just say that got him interested. David’s really interested in how this film will translate with Rob’s fans. He’s curious to know how they will receive Rob in this role. I told him his fans are already beyond excited and highly anticipating this film. And I hope we get the trailer soon because I’m kind of tired of seeing “I want the Rover trailer and now” on Twitter. I’m not so impatient because I know he will give it to us when he’s absolutely ready to. But I told him I’d get the info about Rob’s fans reactions to him once movie has been released. I asked David whether there will be an Aussie premiere. 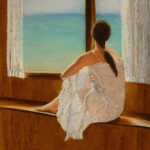 He said he expects there will be – he just isn’t sure where that will be but there should be something. He just raved about Rob. He said Rob’s performance in this film is amazing and I can tell you he was pretty genuine about it. David asked us if we had met Rob. I said – we sure have. We endured hail, torrential rain and wind when he was here for the last Twi film and I said I thought he was such a sweetheart. (Vertigo – I think we blurted out “sweetheart” in unison lol) David said – he really is – he’s such a great guy. And it was said with genuine reverence. Do you want some 6 degrees of Rob and David again – I don’t think this is something David will mind if I share, but he told us how his housemate “Luke” actually wrote the script for “Life” that Rob will be shooting soon. My only regret – Luke was actually there and left before David’s session finished. One other guy walked past David and us just after we spoke about that and I said – was that Luke? No David said with a laugh. You know I would have interrogated him too. There’s more but I just can’t remember – Vertigo will update this when she gets home with anything I’ve missed, but on parting with David I said – one last thing. 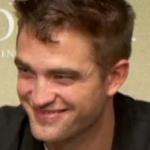 What would you tell RPAU’s followers / Rob’s fans about Rob that you can tell us about The Rover. David thought about it and then he said with so much emphasis. “I know what you can say – you can say that I think “Rob is REMARKABLE”. David Michôd I think YOU are remarkable. Cannot wait to see this collaboration. CAN.NOT.WAIT. *Thanks AussieJen for taking the pic of David when we first started talking to him. I may have cropped out myself and Vertigo – you don’t need to see that lol. Typos are mine. I’ve only quickly proofread because I wanted to get this out to you. I am grinning from ear to ear reading your wonderful, detailed write up Maria. Am soooooooo thrilled that you & Vertigo had this amazing experience & got to talk to David – too EPIC for words. What an amazing, generous & kind man David is, not to mention talented. Can not thank you enough for sharing everything with us & your pics too. Love your signed Animal Kingdom DVD Maria squeeeee. I LOOOOOOOOOVE what David said about Rob, makes my heart sing. Didn’t think it was possible for me to be more excited about The Rover but just now reading right here, my excitement has gone completely through the roof & then some. What a PHENOMENAL film this is going to be, I absolutely CANNOT WAIT!!!!!! And definitely re: Animal Kingdom, I cannot say enough how much I LOVE it, it is FANTASTIC. I thought the same re: Rob in Quorn. happiness & sadness all at once. So happy that he had that wonderful magical experience of being able to walk down the street by himself, but sad that as you say Maria, it took this remote location for him to be able to walk freely, in peace. He really does need to move to Oz, come back soon Rob. David’s housemate Luke wrote Life?? OMG how exciting is that!! Thank you so so much once again Maria for sharing with us, cannot tell you how much we appreciate it. So happy for you & Vertigo, soooo soooo happy *cartwheels* 😀 Look forward to your additions Vertigo. I’m going back to read over again – yep, cannot get enough. Oh maria, I’ve just excused myself from a pre-wedding dinner in the Mornington Peninsula. I’m sitting outside with tears in my eyes, reading your post. I’ve been thinking about you and Vertigo all day – so, so happy for you both! And I’ll visit your David Michod Australia site ….. Just saying! LOL Gotta go, but congrats and thank you! Big SQUEEEEEE from me!!!!! Oh Dear God. I hear all your excitement, Maria and am overwhelmed with David too, through your words. The fact that someone as talented as him has such high praise for Rob as both an actor and as a person is magnificent to hear. And we know a Rob’s goal is to work with people of David’s calibre too. The stories about The Rover having it’s genesis before AK and the link to Life are fascinating. I appreciate David sharing so much. Rey’s character sounds like a real treat and it seems David is seeing something from the Rob’s performance that wasn’t premeditated. I can’t wait for all that to be revealed to us on the big screen. Rob taking a peaceful stroll was very evocative. Once more, I see the links with Life. A wonderful re-count Maria. Thank you. Maria & Vertigo what an amazing experience to have! David seems like a real artist and I love hearing things like how The Rover came about before Animal Kingdom. The fact that these talented, intelligent and respected people have nothing but praise and admiration for Rob personally & professionally just makes me absolutely beam! May I have your permission to translate this all goodies? I hope this film will come to my country!!!! @Carmel I don’t think Vertigo or I can express the respect David has for Rob as a person and as an actor. After all this is the man who opened the doors for Jackie Weaver to be nominated for an Oscar. It was great insight too when he was talking about his experience when he was filming Animal Kingdom. I didn’t go into too much detail in the write up, but just know David doesn’t gloss over his mistakes. He was honest in what he did wrong and how much pressure he puts himself under. This man loves what he does. Maria of course you are the source!!! It’s now after midnite and I’m in silent tears again after rereading this post. I think this, for me, has become THE post of 2014 so far – quite REMARKABLE, given there is no photo of Rob! No Rob smile, or laugh or hair or jawline or hands or mole or ……. 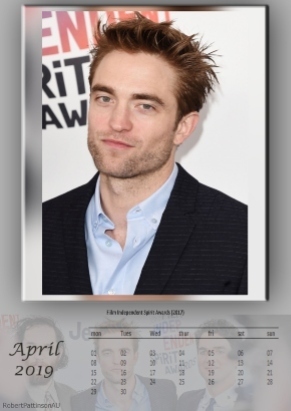 Just simple words to remind us of the beautiful, sweet, talented, respected man Rob is. Thanks again, Maria – I know you and Vertigo will really treasure the memory of this special experience. Oh, and I think you’ve created a whole new bunch of Michod admirers along the way!!! Sweet dreams everyone! Thx Maria! Most most interesting!!!! Thanks for the excellent writeup. Lots of goodies and I appreciate all the hard work that goes into keeping us up on all the latest Rob goodness. That walking down the street in Quorn story is so bitter sweet. Bless. It really sounds like a great time was had by all though!! Wonderful write-up, Maria. Thanks so much for sharing the experience with us. Loved that Rob was so concerned about his accent sounding authentic. Glad that he found some peace and contentment walking down the street by himself. Suffice to say it’s a rare occurrence for him. Great job ladies & thank you for sharing your experience. Makes me more excited to see the film. BTW Ladies – I noticed, in the MTV Brawl , that The Rover is on 45% and MTTS is 48%. Rob and the two Davids need our votes! @Emma – welcome! These are very exciting times indeed. And it doubles the fun when you have like minded people to gush with. As you already know, David has an amazing spirit that he genuinely loves to share and in loving talented people, he even went so far as to say he LOVES actors and it felt like tenfold when he spoke of Rob. I really do believe that Rob surprised David with just how talented he really is. I am really happy to have had the opportunity to share this amazing experience with you all and am so chuffed with David that I can’t be more excited about supporting his work and the Rover will possibly turn my world upside down. I mean that in the best possible way. You bet you can count me in on the DM Australia site Maria. What a fantastic account of a mind blowing experience! Now that you 2 ladies are on David M’s radar, I am beyond excited to hope and anticipate that you just might receive a special invitation to the Aussie premiere and get to meet Rob – again! Beautiful read, Maria and Vertigo. So happy you got to attend and participate. Your accounts are the next best thing to being there myself – it’s so great that you wrote all your experiences out so quickly just to get them out to us. 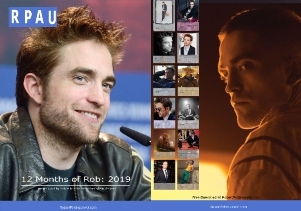 I’m just thrilled that Rob is working with artists of this calibre – he is choosing oh so wisely, building up his career with great, solid parts in original, intelligent films made by artists, not hack directors. The fact that these directors also respect his talent and intelligence is the icing on the cake. I beam with pride and pleasure when anyone says anything good about Rob – to hear David’s obviously genuine praise for him fills me to the brim. Thank you, David, for talking with fans who will do everything in their power to promote your film, and not just this one with Rob in it – you watch, they’ll be spruiking for you every time you release another. They do that here! Maria and Vertigo, you’re wonderful – thank you so much for sharing your experience! Success Trish 😀 Ugh WP is seriously the devil. Why it puts comments that are not spam into spam baffles me. It’s crazy! Thanks @Georgie – imagine, it’s what dreams are made of, but I was so smitten with David I said to Vertigo “imagine going to a premiere and as Rob’s right in front of you we see David and starting yelling out David, David” If I’m being honest though, if I could get a pic with Rob and David at the same time – that would be a dream come true. Thanks @Trish and thank you everyone for your responses. It’s true Trish, I’ve loved David’s work and as I said to him, when we heard you had signed on Rob it was like all our Christmases came at once. I’ve always obviously loved the rawness/honesty of Australian films. One thing David did say and they talked about what how the dialogues in his films are more like everyday speak, rather than written for movies. I get that. That’s why as Vertigo said to him, he’s able to make us like and draws us in to characters that are genuinely unlikeable. I said to him “you make us like people we shouldn’t like and that’s a talent’. 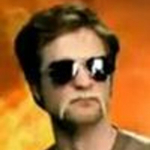 You continue to run the very best of any Robert fansite. Well done ladies, a well deserved treat you have reported fabulously. I am speechless! This is just so neat that you both were able to attend and speak to David. I cannot wait for this movie! Thank you for sharing this with us! !